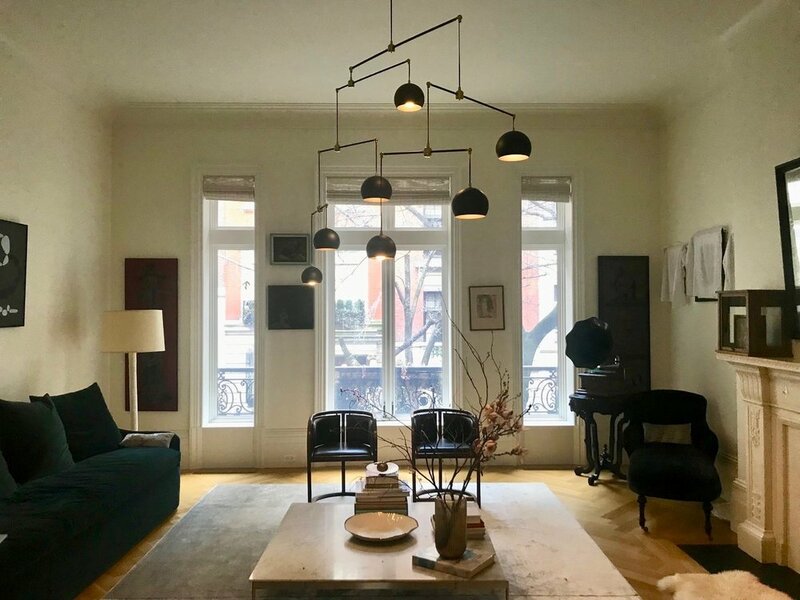 We just got this picture of our light mobile hanging in its permanent home in New York City. It’s such a beautiful space—we’re honored our light mobile gets to be part of it! The light mobile is finished and ready to ship cross-country! We were so excited about the end result that we staged a few glamour shots in our office. We can’t wait to see pictures of it hanging in its final home! And bonus: a video we took (pre-painting) to capture the mobile’s movement. Here’s the light mobile we’ve been working on a private residence. The movement is amazing, and Matt keeps saying, “It turned out better than I expected!” Next up is powder coating, then shipping to the client! Here’s a rendering of an interesting mobile we’re working on. This will hang in the living room of a private residence. 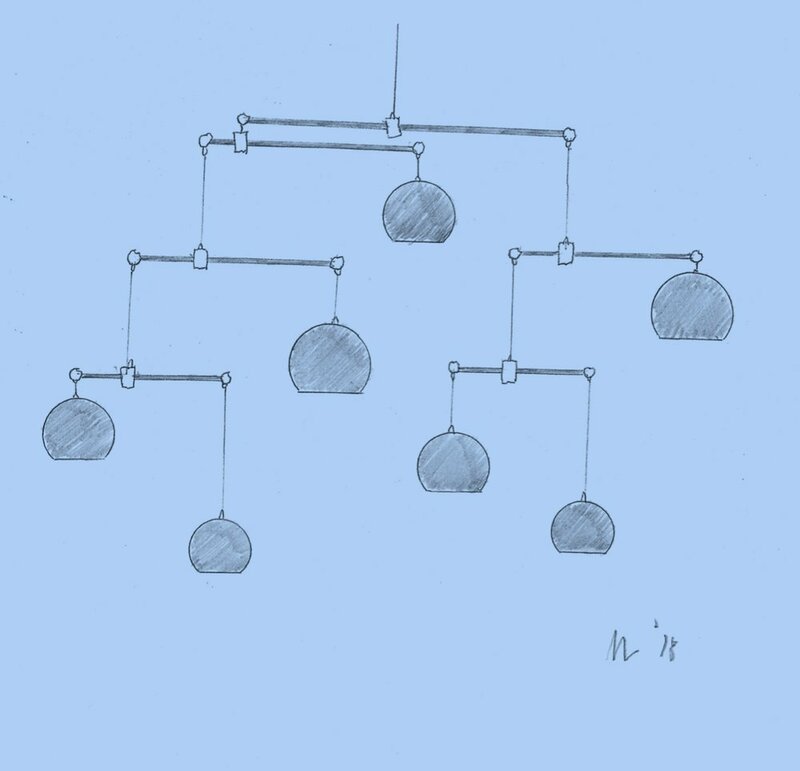 Using this light mobile we created last year and this mobile-inspired light fixture Matt designed for his family’s kitchen, we came up with this design. Stay tuned for to see our progress! Matt just returned from Houston, where he finished up this installation in a hospital atrium. We learned a whole lot about lighting along the way, so we're ready and eager for another light/mobile project!